Awesome…Something wonderful is going to happen…. 2nd important thing that I needed to do is to forgive myself and ‘S’ (the common friend). I attracted such hurtful way to bring out such a beautiful confession. This entry was posted in Uncategorized on February 26, 2014 by IAD Life. Today I woke up and this current song of Star World (feb 2014), ‘Today is a good day’, surfaced in my mind. I downloaded it from you tube, then I wanted the full version and I searched you tube and got it.. IT’S GONNA BE A GOOD DAY! – Bayer’s Recruiting-Song (http://www.youtube.com/watch?v=TGICsTAqRi4). Do give it a listen. Awesome. Well, do you remember blog article ”confession made fun…”. Well as I was indicated that the lack of confession or my reluctance to confess was/might have been causing the blockage to my prosperity. I know how much I love prosperity and how much more would I like it to flow joyously and lovingly into my life, that to in a constantly increasing manner. Here is how it happened…I had a skype meeting (official discussions) with ‘N’ on Sat….that actually left ‘me’ with couple of questions, while his questions were being answered. While I was awaiting another telephonic discussions…I decided to allay my doubts by carrying out an exercise with him (over WhatsApp) to bring out his passion/or to understand his level of passion. The idea of the exercise was to make him/bring him to his level of highest passion, so that passion can be used/put in his role in IADLife. Due to the scheduled “telephonic discussion”, the WhatApp exercise was discontinued. Next day, Sun, I had a full schedule. I still wanted to carry out the exercise and get few clarifications from him. So we fixed a half hr mtg in the afternoon. It so happened that one of our common friend, ‘S’ came online and started inquiring about the “new marketing person of IADLife”, when I asked her who that was she took N’s name. I was not pleased that the company decisions were being discussed with a person outside of the company. However, that triggered me in asking her to meet me over skype, to find out about the few things about ‘N’. I had known her to be a good friend of his. She shared with me, a few situations, feelings, comments that she believed to be true. I was so hurt by this information. Incidentally, I got N’s call for the scheduled telephonic discussion. He started in his nice, charming voice in an accent that usually made me laugh. I went past all that, and I told him I was on skype with S and she has shared few information(s) that I need to be clarified…I had kept my calm with S, while hearing the information(s), one of which was a hurtful allegation. With the hurt and pain I started the conversation with N. I did not even realise, how hurt I was and when I started crying, and started demanding an explanation on all that was told to me. I have never cried in-front of anyone publicly. I have always been very poised and calm when I talk to anyone. Crying is something I don’t do, wailing never. That was exactly what I was doing…And I did not even realize it. Well, how did that happen! That happened because I have set my intention to be my true, clear self. I matter and my true self matters, I accept myself and the whole universe supports me and the universe is on my side. As the conversations progressed, while getting the clarifications, I got a chance to “confess” and tell him about my blog article too. The whole experience was smooth, in a flow, and N was just amazing, the way he presented himself in the situation, I am impressed. I did also tell him, that now all my blockages are removed and I feel I am now ready to receive love and prosperity. It really has been a big achievement and I congratulated myself. I am very grateful to Angels for supporting me, as i had asked for their help. Thank you N for being such a fabulous person. We are most definitely now going to have a smooth ride, also while working with IADLife . Affirmation: I am willing to receive prosperity with love. I now choose to be open and I am willing to receive with love, I am safe. I now deserve, love, joy, romance and all the good that life has to offer to me. I met an energy healer and she told me that she sensed that there is an energy blockage within me and in between our meeting discussions, her questions regarding my personal life kept coming up…what’s happening in love life….what about your marriage. Having learnt/practiced/witnessed…”every word I say is what is creating my future”…I told her I do like someone, but am unable to tell him. She slammed her palm on the table and said…there you go, that is what is blocking your prosperity, you are not ready to confess, so someone is not ready to confess to you that ‘He likes you’ (I understood it as ‘I am not being able to receive’). What a pickle….I was like “Can I just talk to his angles”…”Can I request his universe” How can I go and tell him that I like him or more. Do I even know that to be true. I have no practice saying such things to anyone, never done it in past. That still is not my confession. Before, I could say anything further, the energy worker told me, why worry about the consequence. I realised that …. 2) there is in this act of sharing our clear feelings that is act of receiving in some way…. So here’s my confession to him “Ever since you came to me after my Mom’s funeral and said ‘I will come and talk to you’. My first thought was ‘Why!’…as I was not interested in another condolence conversation. When you sat on my work station table and told me all the places you have travelled/studied, I noticed that these were exactly the places I had travelled/studied possibly a decade ago. I did not know if that meant anything. After meeting and interacting with you the the feelings that surfaced were so nice, that I did not recognise it. I had not felt these feelings since long and I was thoroughly confused. This confusion gave rise to anger. And you could have remembered my outbursts or my angry sms(s). I was not clear. But, with the new year I have set my intention to be clear and honest. I do believe that these thoughts and actions are surfacing/happening because of this intention. You were gone for a long time, but I still remembered you. And now you are back….so please do stay. For a person like me ‘feelings’, are very important and I value them now. I had unknowingly supressed, ignored, and de-valued my feelings for a long time. I now understand the significance of the ‘feelings’ and know the fact that they are the essence or reason for creation of all of our thoughts. It’s wonderful to be able to clear my mind, speak my mind. This is an amazing start for me. Will keep it up. This entry was posted in Uncategorized on February 18, 2014 by IAD Life. As I was pondering over how to pen down the recent revelations+realisations that had surfaced by experience and/or by discussions and interactions with IADLife clients, the recent star plus tag line “Jab mulakate hongi zyada, rishta hoga aur bhi gehra” caught my attention. Guess, that is the message from the Universe for our meetings “T@T6” and with whom we wish to/desire to deepen our relationship. 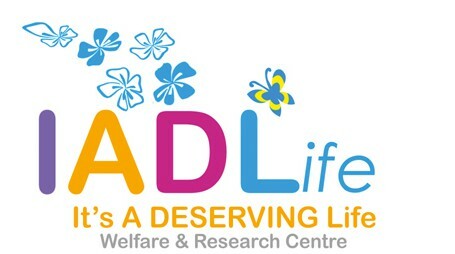 My sincere thanks to the IADLife clients who have shown willingness to share their experiences and learning(s) for others to read and benefit. Client X Relationship area: “I am not angry when he does not keep timelines”. What happened? What changed? Why did this happen! Realisation for Client X: “He has taken away my right to be upset. So only thing left for me is to be genuinely/honestly be lovely. Level of “lovely” that I am comfortable with”. Client Z: Time/Attention area: “I want attention from my Man, but he does not give me enough time”. Realisation for Client Z: “I love him, I value his time with me, but I love my space that can be used for the creativity that I would like to learn and earn and am so passionate about”. e.g. Client X -She wants to have a beautiful relationship with her Man. So we devised her an affirmation for this desire “I have a loving relationship with My Man”. So after a few days of affirming we worked together, and what surfaced was that as she had desired this since much before the affirmation was suggested, she had been attracting such situations from somebody she loves (because that is how we are willing to pay heed :)) so that she could get over that habit of being “not loving”. Other affirmation for her relationship with her Man is – “I have loving and excellent communication with my Man”. Then if she is angry/rude/crude to him, she herself wouldn’t like it. She had attracted situations that required her to change (as she was willing to change) and she become her authentic loving self, because being strict/angry/rude/crude did not work in her relationships. Now, we behave with others how we behave with ourselves. If we are so strict with somebody else for not doing a job up-to the standards/protocols/timelines set by us. And for this if we are getting upset with them, then, it actually means we are really not that flexible with our ways of functioning and if we ourselves do not match up to the standards/protocols/timelines, we would be equally or more upset with ourselves. My intention for this year is to be totally honest in my intention. This entry was posted in Uncategorized on February 8, 2014 by IAD Life. • Please don’t pull up a chair for me while we are at home, however at restaurants waiters pulling the chair is fine, but do open the car door for me. Well, I managed to list some of them. I myself did not know till I started writing them. Similarly each of us can do that. We can list as many pointers as we want, smallest of the smallest gestures …like a note…greetings etc. and big ones too. As an added bonus you also find out your partner/your Man’s love pointers. And thus, you can find out how to align your “language of love” with your partner. So each time you have a thought that your partner/Man is not showing you love, go look at his love pointers and see what all has your partner already covered/done for you. I feel I have just written a love letter to My Man through the Universe. This is my first. This is truly an awesome feeling. This entry was posted in Uncategorized on February 6, 2014 by IAD Life.